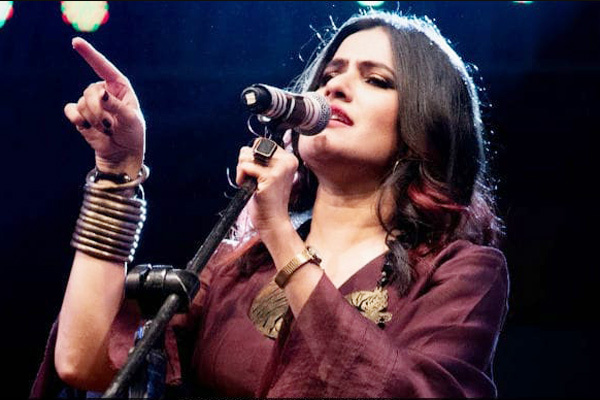 MUMBAI: Singer Sona Mohapatra believes that art and music have no boundaries and says the Hindi film industry takes Pakistani singer Nusrat Fateh Ali Khan's songs to recreate in every Bollywood album. The singer commented on Twitter after a social media user shared a copy of her interview, and called her petty and narrow-minded for not recognising the sacrifice of Indian soldiers. Another came in support of Sona and wrote, "People from other side of the border were once Indians. Fifty per cent speak Punjabi and travel to meet their families in India. No doubt India always stands against terror. But art shall not die because of this." The singer replied, "Pakistan as a state has oppressed and virtually wiped out their minorities. Their own artistes aren't safe too. Amjad Sabri the Sufi Qawwal amongst others who spread the message of love have been brutally murdered in broad daylight. India cannot become like that and it should not." The Ambarsariya songstress signed off by saying that lets not confuse a state's policy and politics with its people. MUMBAI: Indian singer Guru Randhawa, who has marked his maiden international collaboration with American rapper Pitbull with Slowly Slowly, says that eventually both the artistes felt connected at a human level.Guru met Pitbull a couple of times for the project. MUMBAI: Singer Shaan, who is on the judging panel of popular music reality show, Sa Re Ga Ma Pa Li’l Champs has crooned a song for Indian Cancer Society. His noble feat will be broadcasted in the upcoming episode of the show, where the Cancer NGO marked their attendance.